When long-time golfers hear the words TaylorMade and Burner together, it probably brings back fond memories of the Bubble shaft, that delightful rust-colored head and maybe even Tom Lehman. But times have changed, technology moves on. However, it's been en vogue the last year or so to bring back the names behind some of a bygone era's best clubs and reinvigorate them with modern technology. TaylorMade's sort of taking a page from that playbook with its new AeroBurner line, which it introduced to select media in New York last week. The AeroBurner is designed for speed, with its name a tip to the emphasis on aerodynamic performance in the clubs to improve clubhead speed. AeroBurner woods feature three design tweaks to pop speed: what the company calls an Aero hosel, a small fin located at the heel of the club to reduce drag, a raised center crown and a rounded toe. The company's Speed Pocket -- which has been copied by other companies in their product lines -- has been improved and doubled in size, the company says, offering maximum face movement at impact to impart as much energy as possible on the ball no matter where the impact occurs on the face. You'll also notice white's back for TaylorMade after a deviation in the SLDR and JetSpeed models. The matte finish has some additional details that make it appealing to the eye. However, what's missing is adjustability in the loft and lie of the driver. That was to allow the increased size of the Speed Pocket. But, speed's the emphasis here. And that extends to a 50-gram shaft and a lightweight grip to bring the total clubweight just under 300 grams. The AeroBurner line also boasts fairway woods and rescue clubs, complete with the enlarged Speed Pocket and the lower-and-more-forward center of gravity the company has made its trademark with the SLDR line ("loft up"). The company's research tells them the CG position is critical to the success of the Speed Pocket, particularly in the fairway woods. These fairway woods, TaylorMade says, can achieve "driver-like launch conditions." Yowza. The face is also shallower than the RocketBallz to made the AeroBurners easier to hit from the fairway. Unlike the driver, the fairway wood shafts have been shortened to swing closer to a long iron than a wood -- a good idea for most. The rescue hybrid has also been shortened by a half-inch. There are Tour Preferred versions of the series for better players, though most would likely flock to concurrently introduced R15 line. 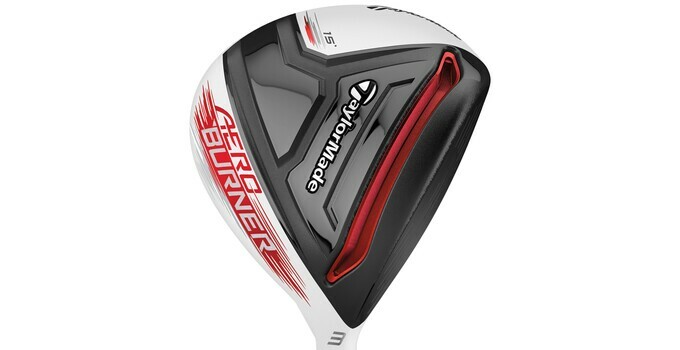 The AeroBurner driver will come in four lofts– 9.5°, 10.5°, 12° -- and launch Jan. 9, 2015, for an MSRP of $299. The fairway woods will run $229 and be available in 3-, 3-higher loft, 5-, 5-higher loft and 7-wood options. The AeroBurner rescue will cost $199.